The man credited with inventing the World Wide Web says that dominant tech giants such as Facebook and Google may need to be broken up unless viable challengers emerge, or shifting preferences result in people gravitating away from dominant names. London-born computer scientist Tim Berners-Lee told Reuters that he is disappointed with the evolution of the internet, which he invented in 1989 while working at Europe's physics research center CERN - branding his "Mesh" network the "World Wide Web" in 1990. He is currently a professor at the Massachusetts Institute of Technology and the University of Oxford. 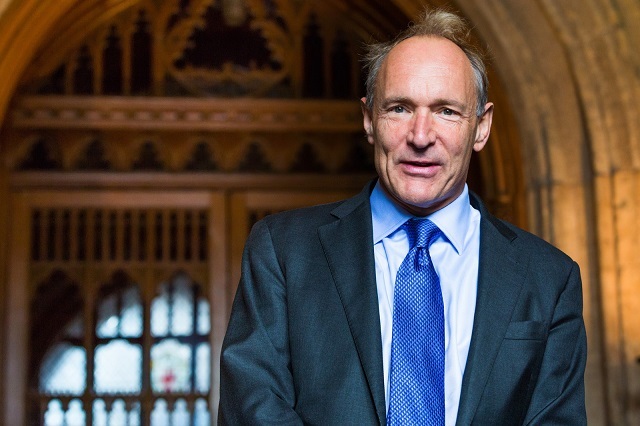 "What naturally happens is you end up with one company dominating the field so through history there is no alternative to really coming in and breaking things up," said the 63-year-old Berners-Lee, adding that "There is a danger of concentration." They may not need to be broken up, however, if user preferences change and disruptive new technologies emerge. "Before breaking them up, we should see whether they are not just disrupted by a small player beating them out of the market, but by the market shifting, by the interest going somewhere else," he said. That said, Berners-Lee says that monopolies have sapped enthusiasm from innovators - and he was particularly disappointed when the Cambridge Analytica scandal came to light in which Facebook was found to have granted access to companies which then harvested vast quantities of private user data for various purposes. "I am disappointed with the current state of the Web," he said. "We have lost the feeling of individual empowerment and to a certain extent also I think the optimism has cracked." He also wonders if Twitter is designed to fuel controversy, saying "If you put a drop of love into Twitter it seems to decay but if you put in a drop of hatred you feel it actually propagates much more strongly. And you wonder: �Well is that because of the way that Twitter as a medium has been built?�"